Whether you're heading to a patio bistro lunch, out for a day of shopping, or simply going to the market and back—none of these ventures would be any fun without your precious fur baby in tow! 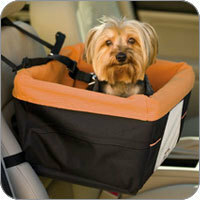 Why should your furry friend have to stay home when they can be brought along in comfort and in style? Those were our thoughts exactly when selecting our fashionable and functional small dog carriers for the pampered pooch on the go. 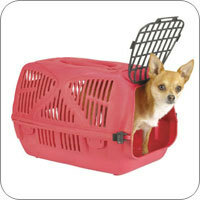 Our small pet carriers can transport your dog no matter the occasion or venue. We select our carriers from top manufacturers, and guarantee your fur baby will get to and fro in complete comfort, safety, and with a fashionable edge! 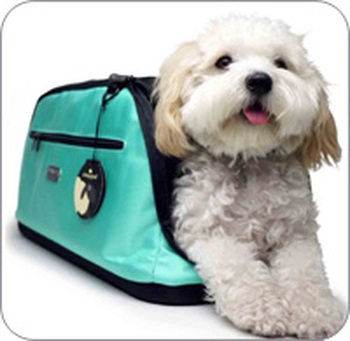 Our designer dog carriers include custom dog car seats, classic handbags, dog strollers, dog slings, chic PuppyPurses, airline-approved carriers, sturdy pet crates and accessories, and so much more. It's been said that the purse makes the outfit, so for our fashionista pet parents, carrying your precious pup in a small dog carrier that's reminiscent of a designer handbag is the perfect solution. 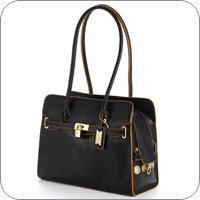 Our classic handbags and leather tote carriers from top designers such as Louisdog, Dogs of Glamour, and PETote, will transport your fur baby in luxury, comfort, and protection. 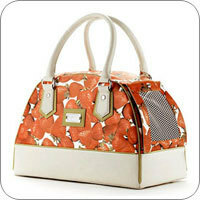 Our handbags look so much like classic designer bags, people will wonder if your pup is being carried in a Louisdog, or an original Louis V! 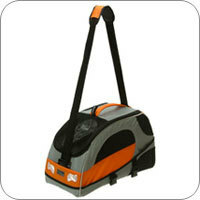 One of the hottest small dog carriers on the scene today is the PuppyPurse. 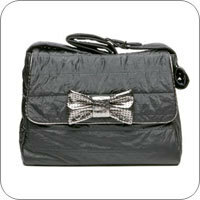 Celebrities and media figures have been photographed carrying their precious pooch in this purse. 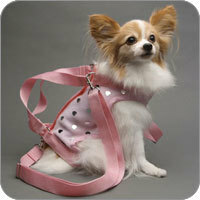 The PuppyPurse wears like a harness, and acts as a carrier. 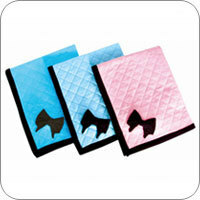 Your fur baby will stay cool and comfortable with its head, feet, and tail exposed. 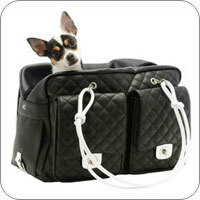 A set of tote handles is also included if you feel like carrying your pup just like a purse. If your precious pup wants to stay as close to you, as you do to him or her, a dog sling, such as a Susan Lanci Sling Dog Carrier is the perfect choice for you both. These slings allow comfort of movement for your pup, while providing a snug, secure fit on your hip or across your chest. 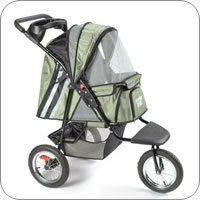 If you prefer strollers, our luxurious dog strollers will push your pooch around when their little legs get tired, or when they simply feel like taking in the scenery while relaxing under a shaded hood.